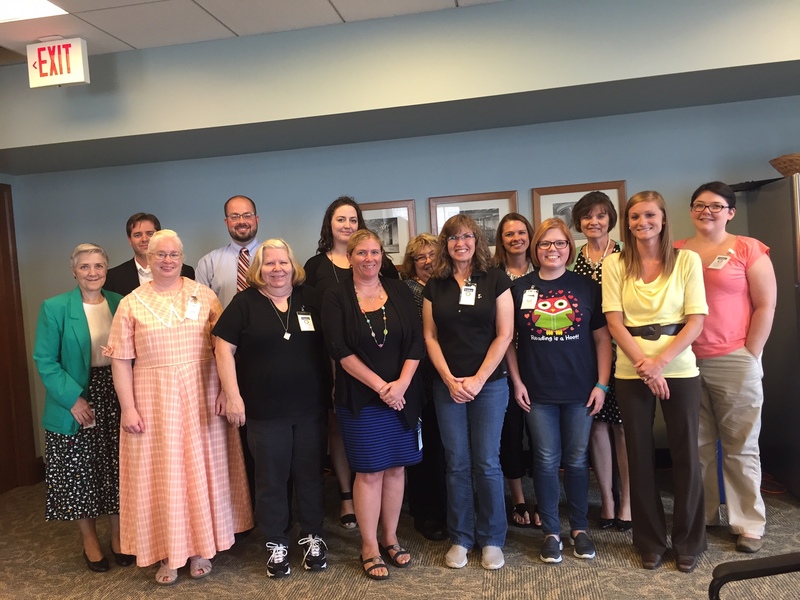 On August 16th, 15 new public library directors attended the New Director Workshop presented by the Indiana State Library’s Library Development Office. The class of 2016, comprised of directors from all corners of the state, left with knowledge, leadership and management information that they can apply to their daily duties. The workshop was hosted by Karen Ainslie and Jen Clifton and covered policies, board relations, library funding, and laws. New this year, guest presenters were invited to speak on budgeting, additional appropriations, and employment policies. These speakers included Beka Lemons (Huntington City Township Public Library), Sandra Petrie (Noble County Public Library), and Jamie Scott (North Madison County Public Library System). Additionally, participants learned about other Indiana State Library services, including Evergreen, the State Library’s Attorney, Children’s Services, and the Talking Books and Braille Library. Though it was a packed 7-hour day, the directors had the opportunity to visit with each other and tour the State Library. They each left with new colleagues and the knowledge of where to find the information they need as they grow in their careers.